1. Contract for Space: The contract for space, the formal notification of space assignment and the full payment fees constitutes together a contract between the exhibiting organization, hereinafter known as Management, for the right to use space for WETEX. The contract is based upon the plan of exhibit rates shown thereon and the general information contained in the exposition prospectus and sales kit all of which are to be considered along with details on all pages of this form as part of the contract. All measurements shown on the floor plan are approximate and Management reserves the right to make such modifications as deemed necessary making equitable adjustment with any exhibitor or exhibitors thereby affected. The management also reserves the right to adjust the floor plan to meet the needs of the exposition. 2. Installation and Dismantling of Exhibits: Delivery of freight, installation of exhibits and completion of erection of exhibits will take place on the dates specified. The exhibits must be ready for inspection no later than 8:00am of the first show day. Should an exhibit not be set by 10:00am of the first show day, the Management reserves the right to have the Official Exhibit Services Contractor install the exhibit or remove unopened freight at the expense of the exhibitor. Dismantling may not begin until the close of the exposition on the final show day. Goods and materials used in any display shall not be removed from the exhibit hall until the exposition has officially been closed. Any exception to this rule must have written approval of Management. Dismantling must be completed and all exhibit materials removed by the final move out date and hour shown. (NOTE: Exhibitors are advised to remove small, portable items immediately upon conclusion of the exposition). 3. Storage Boxes and Packing Crates: Exhibitors will not be permitted to store boxes or packing crates in or behind exhibit booths. Prior to 8:00am of the first show day all boxes and crates will be placed in storage provided they are properly labelled for storage. Those not so labelled will be removed and destroyed as refuse. 4. Floor Plan: The floor plan for this exhibit will be maintained as originally presented wherever possible. However, Management reserves the unqualified right to modify the plan to the extent necessary for the best interests of the exhibit, the exhibitors and the industry. 5. Applications for Space-Conditions: Reservations must be made on the Space Application form which must contain complete information. Management reserves the right to reject applications for space. It is the policy of DEWA to limit the use of exhibit spaces to firms whose products or services contribute to the purposes of Water, Energy and Environment. No cash sales will be permitted. 6. Payment Schedule/Cancellation or Reduction of Space: The payment details are listed on the brochure. Cancellation of this contract or reduction of space must be in writing, and by mutual consent of the applicant and Management, except that Management may unilaterally cancel this contract for non-payment of any balance due by the date specified if cancellation or deduction of space is agreed to applicant will be entitled to a refund based on the following schedule. Cancellation or Reduction of Space Penalty: Space cancelled or reduced on or before 30th June 2019 will be charged AED 5000 as service charges on total registration fees. The full contract price is due and payable and non-refundable for any space cancelled or deduced after 30th June 2019. All demonstrations must be within the confines of the exhibit space. Aisles must not be obstructed at any time by exhibitor personnel or attendees. Management reserves the right to unilaterally determine if a demonstration interferes with adjacent exhibit spaces and may if necessary order its discontinuation. Note: Please refer to the exhibitor manual for specific booth dimension instructions. 7. Space Assignment: Space assignment will be indicated on the accepted contract. However, should conditions or situations warrant, Management has the unqualified right to reassign space for the best interest of the exposition. Exhibitor must rent sufficient space to contain their exhibit completely within the confines of booth lines. Heights and Depths addressed in Section 11 must be observed. Exhibitors may take photos or videos of their display, however they are not permitted to directly take pictures of any other display or instruct others to take such pictures, without written permission by Management and the exhibitor whose display is being photographed. Exhibitors must respect the privacy of other exhibitors and not intrude or disrupt another exhibitor while they are conducting business on the show floor. 8. Sharing/Subletting Space: No exhibitor shall assign, sublet, or apportion the whole or any part of the space allotted, or have representatives, equipment or materials from other than their own firm in the said space. Management policy prohibits subcontracting of exhibit space. Should an exhibitor decide to cancel exhibit space reverts back to Management. Independent Contractors Notification to use an independent contractor to install/dismantle exhibits must be received forty-five (45) days prior to the first day of the show. 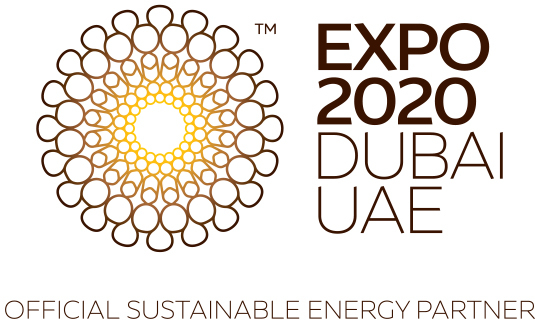 If an exhibitor selects to use any contractor other than the official contractors assigned by DEWA, DEWA is not in a position to intercede in disputes on behalf of the exhibitor. Notification to use independent contractors must go to both show Management and the Official Exhibit Services Contractor. 9. Exhibitor Personnel: Each Exhibitor will furnish Management in advance, the name of those persons who will staff the booth of the exhibitor. Personnel will be admitted to the show floor at 8:00am each day. In the event of earlier admission, special permission must be obtained from Management. Exhibitor›s representatives manning the exhibit will be owners, employees, or agents of exhibiting companies, and such representatives will wear proper badge identification furnished by the exhibitor. Such badges will be supplied upon presentation of the list of personnel by the exhibitor. Each exhibitor will place on file in the Show Management Office the name of the representative (including hotel or local phone number) who has primary responsibility on the floor for the exhibitor’s display and who is authorized to make decisions for the exhibitor as requested by Management on site or in case of emergency. Note: Supplying exhibitor personnel badges to current or prospective customers by exhibitors is strictly forbidden. If such use of exhibitor badges is made and this is recognized, individuals wearing the badges will be removed from the premises and badges will be confiscated. Management will supply visitor passes which the exhibitor may distribute to the customer for purpose of attendee registration. The exhibitor personnel registration is to be used solely for employees or agents of the exhibitor. 10. Displays and Construction: Management has arranged for a standard uniform booth background, including header sign with exhibitor’s name and booth number. Equipment must be spotted within the confines of the exhibit space and allow sufficient space for exhibitor personnel to conduct business within the space. Management is not responsible for music used by exhibitors, and exhibitor hereby agrees to indemnify, defend and holds harmless Management for any and all costs or damages, related to any copyright violations that result from exhibitor’s failure to obtain the appropriate license(s). Balloons, horns, odors or congestion in exhibitors’ booths are not permitted. 11. Contractors Services: All services such as furniture, carpeting, labor, cleaning, storage of boxes and crates shipping and other special services must be arranged through the Official Exhibit Services Contractor. An Exhibitor Service Manual will be provided with proper forms for ordering such services. Forms should be carefully prepared and returned by the deadlines noted to avoid late charges. In the event of giveaways, demonstrations, and/or entertaining the attendees, booths must be arranged so attendees coming into the exhibit do not block aisles or overlap into neighboring exhibits. The operation of equipment indoors will not be permitted on a continuous basis. Operation of equipment may be approved for demonstration purposes for short periods approximately one to five minutes, provided Management is notified in writing thirty (30) days prior to the first day of the show. Booths must be policed by each exhibitor so disruption or level from any demonstration or sound system or equipment producing sound is kept to a minimum and does not interfere with others. Remember, the use of sound systems or equipment producing sound is an exception to the rule, not a right. Management reserves the exclusive right to determine at what point disruption or sound level constitutes interference with other exhibits and must be discontinued. All property of the exhibitor is understood to remain in the exhibitor›s custody and control in transit to or from or within the confines of the exhibit hall and subject to the rules and regulations for the exposition. Note: Exhibitors are to carry insurance to cover exhibit materials against damage and loss and public liability insurance against injury to the person and property of others. By executing the Contract for Exhibit Space, exhibitor warrants that there is in effect the instance policy covering the exhibitor, with coverage remaining current through exhibitor’s occupancy. Exhibitors must comply with all state, local, and exhibition facilities’ safety regulations. Corrections will be made at exhibitor’s expense. If corrections cannot be made, exhibit shall be removed at exhibitor’s cost with no liability accruing to Management. Under no circumstances may the weight of any exhibit materials exceed the speeded maximum floor load of the exhibit hall. Exhibitor accepts full and sole responsibility for any injury or damage to persons or property resulting from failure to distribute the placement of his exhibit material to conform with the floor loading specifications. Indemnity: Exhibitor agrees to indemnify defend, and hold harmless Management, its officers, employees and agents from and against any and all third party claims and other liabilities (including reasonable Attorney fees) that are caused by or arise from, or grow out of the negligent acts or omissions of the exhibitor, its agents, officers, employees, representatives, servants, invites, patrons, or guests. The exhibitor is charged with knowledge of all local laws, ordinances, and regulations pertaining to business licenses, health, fire prevention, and public safety affecting his participation in the exposition. Compliance with such laws in mandatory for all exhibitors and is the sole responsibility of the exhibitor. If unusual equipment is to be installed, the exhibitor must communicate with Management for information concerning the facility or applicable regulations. Management will not be liable for the fulfilment of this contract as to the delivery of space if non-delivery is due to any of the following causes. By reason of the building being destroyed or substantially damaged by fire; act of God; public enemy, strikes, authority of law; or any other cause beyond the control of Management. In the event of not being able to hold the exposition for any of these reasons Management will refund to each exhibitor the amount they paid for their space less a prorated share of all the expenses incurred for the exposition up to the date of required cancellation. 12. Character of Exhibits: It is the desire of Management that each exhibitor design and create an exhibit of an attractive nature which will enhance the overall appearance of the exposition and be a credit to the industry. Management reserves the right to approve the character of the display and to prohibit any display which, because of noise or other objectionable features, detracts from the general character of the exposition. Exhibits must be in good taste as determined by Management. It is the exhibitor’s responsibility to create an attractive display area. The exhibitor is required to provide a carpet to cover the area contracted, including under carpet equipment. Any part of an exhibit space which does not compliment the purpose of the exhibition must be corrected at the exhibitor’s expense. Management reserves the unilateral right to correct any unsightly exhibit and the exhibitor agrees to pay Management for expenses incurred in making the necessary alterations. 13. Gadgets, Gimmicks, Demonstrations, Music and Sound: Side-show tactics, scantily clad individuals, or other undignified promotional methods will not be permitted. Exhibitors are asked to observe the "good neighbor" policy at all times. Exhibits should not be conducted in a manner not to be objectionable or offensive to neighboring booths. The use of photographers, musicians, entertainers, loud speakers, sound system equipment and noise making devices are restricted to within the exhibitor’s booth. Management reserves the right to determine when such items become objectionable. 14. Other Exhibits: The exhibitor agrees that neither they, their agents, nor their distributors will distribute publications or conduct any other display or exhibit any equipment hearing their trademark within a three mile radius of the exhibition covered by this contract or its officially designated to the properties during the dates of said exposition. This limitation does not apply to participation in other trade association exhibitor’s regular place of business or showroom. Violation of this provision by an exhibitor will constitute a breach of the contract and Management may, in its sole discretion, cancel this contract and exhibitor will remove their display and any equipment contained in the exhibit hall and forfeits all payments pursuant to this contract. 15. Soliciting Access to List, Samples & Prizes: No soliciting of registrants shall be permitted in the aisles or in other exhibitor’s booths. Samples, catalogues, pamphlets, publications, souvenirs, etc. may be distributed by exhibitors and their representatives (including hosts and hostesses) only within their own booths. No exhibitor will be permitted to conduct any prize drawings, awards for signing of name and addresses, etc. without prior written approval of Management. Signs showing the price of items must not be displayed. DEWA reserves the right to limit access to attendee, exhibitor and any other list or information gathered by DEWA or its contractors. Exhibitors that publish industry publications may distribute their publications outside their booths only to the other exhibitors and only during show hours. Show sponsors that produce industry publications may distribute their publications to exhibitors at times designated by show management. 16. Flammable Materials: Flammable fluids, substances, or materials of any nature are prohibited in the booth and in the storage area behind the booth. All decorative materials must be flame proofed before being taken into the exhibit hall, and must comply with local fire regulations. Transferring of flammable liquids while in the exhibit hall is expressly prohibited. Electrical equipment must meet all safety codes. 17. Beverages and Foods: Food and/or beverages may be supplied by the exhibitor, with the prior written consent of Management and the Facility. Alcoholic beverages may not be served in the exhibition. 18. Liability: Neither Management, the official service contractor, exhibit hall management, security services, nor any of the officers or employees of the above will be responsible for safety of property of exhibitors from theft, strikes, damage by fire, water, storm, or vandalism or other causes. Management will take reasonable precautions through the employment of security personnel to protect exhibits from such loss. All property of the exhibitor is understood to remain in the exhibitor›s custody and control in transit to or from or within the confines of the exhibit hall and subject to the rules and regulations for the exposition. 19. Damage: Exhibitors will be liable for any damage caused by fastening fixtures to the floors, walls, columns, or ceilings of the exhibit building and for any damage to equipment furnished by Management or service suppliers designated by them. 20. Violation: The interpretation and application of these rules and regulations are the responsibility of Management. Any violation by the exhibitor of any of the terms or conditions herein shall subject exhibitor to cancellation of its contract to occupy booth space and to forfeiture of any monies paid on account thereof. Upon written notice of such cancellation, Management shall have the right to take possession of the exhibitor’s space, remove all persons and properties of the exhibitor and hold the exhibitor accountable for all risks and expenses incurred in such removal. 22. Show Rules: In the event that unforeseen events make it necessary, Management will have the right to amend these rules and delegations or make additions thereto and all such amendments or additions shall be made known promptly to each exhibitor. Show rules are promulgated separately and are tailored to the individual exhibit hall.